roll out the red carpet. Southern charm and a rich history steeped in tradition. Home of Atlanta United, the Falcons, the Hawks and the Braves. 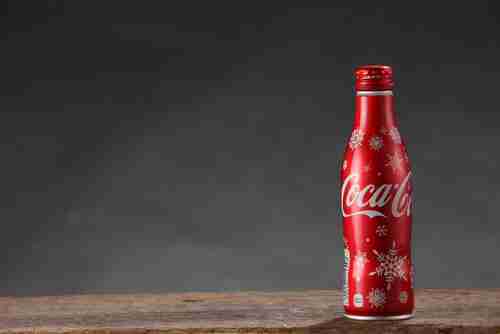 Birthplace of the soft drink giant, Coca-Cola. Fresh off the farm pecans and peaches. No other city in the world except Atlanta, Georgia has all this to offer and so much more. Chock-full of popular attractions and world-class sophistication, Atlanta, Georgia is a dream to visit any time of the year. 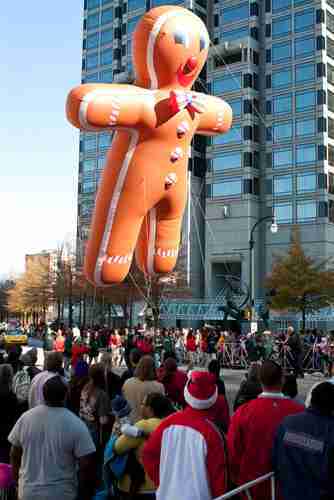 However, when it comes to the Christmas holidays, Atlanta is in a class all its own. With so many holiday traditions suitable for the entire family to participate in, only the North Pole is a true rival for this southern gem! Whether you are just here for a visit, moving to Atlanta in the near future or you are lucky enough to call Atlanta home, you will find a Christmas wonderland beyond your wildest imagination. Come on down and see what you have been missing, while you embark on a whimsical whirlwind journey sure to fill your dreams with visions of sugar plums. This is one tradition that never fails to delight all who attend. Still going strong after more than 60 years, Priscilla the Pig first made an appearance on the top floor of Rich’s store as part of a train running through the toy department. When the store closed in 1991, the pig became part of the Festival of Trees benefiting Eggleston Hospital. Deemed too expensive to operate, from 1995 to 2003 Priscilla took a hiatus until she was renovated and resurrected on the top level of the parking garage at Macy’s. Tickets can be purchased right at the Lenox Square Mall and, once aboard, both children and adults are mesmerized by the storybook setting played out as the train slowly makes its way through a winding trail of displays. November 3rd is the grand opening, and the train runs until January 6th, 2019. When the air is filled with the scent of deliciously famous hot chocolate wafting from Kilwin’s, locals know it is almost time to kick off the annual lighting of Atlantic Station. Known as a day filled with exciting holiday activities, Atlantic Station is the place to be mid-November. Plan for a fun-filled day with a visit to Central Park. Be one of the first to meet jolly old St. Nick right at Santa’s Cottage before taking in all the entertainment on the main stage. Browse through the park to take part in a full schedule of activities, including photo opportunities and the chance to come face to face with some live reindeer. Keep an eye on the clock so you don’t miss the start of the holiday parade, culminating in the lighting of the best tree in Midtown by Santa Claus himself! Both kids and adults wait expectantly all year long for the Children’s Christmas Parade. Taking off from Peachtree Street on December 1st, this 90-minute extravaganza travels down “Santa Claus Lane.” Join the thousands who line up to watch dazzling floats, breathtaking marching bands, enormous helium balloons and all the best-loved Christmas characters. Stay right until the end, so you don’t miss the grand finale—cheery elves, hardworking reindeer and a rosy-cheeked Santa! Located just outside of Atlanta, get ready to board another train at The Rock Ranch. Country Christmas Lights is an amazing spectacle of twinkling, brilliant Christmas lights more than a mile long. The express train features a stunning show with dancing lights and a fabulous snowflake tunnel. Once the ride is finished, head on over to explore Santa’s workshop in Truett’s Barn. Sit down to enjoy stories told by elves and then grab a breakfast fit for Father Christmas himself. Don’t tell the kids, but Santa will make a special stop at every table to take pictures and visit with the group! If you are looking to enjoy the ultimate day of outdoor fun, skate on over to Snow Mountain. There is so much to see and do for kids of all ages, that no one will want to go home! Take one of the two moving sidewalks up to the mountaintop and tube your way back down 400 feet of snow hilariously named Avalanche Alley. Ride alone if you’re brave enough, or choose to pair up on the double- or family-sized tubes. 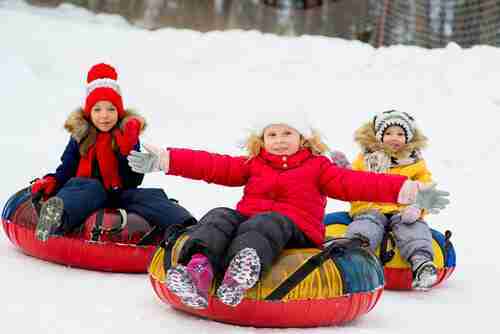 Mosey on over to Snow Zone for more snow play once the tubing is done. Snowman Valley welcomes you to create your own snow friend that is as big as your imagination. Name your new friend and then dig through the closet to find silly accessories that are all the rage in snowman fashion. Igloo City is the perfect place for budding architects to hone their craft. Construct anything from tunnels to towers in this packing snow paradise. On the way out of Snow Zone, take a quick detour to Penguin Run for a maze of slides, tunnels and turrets. Everybody loves to visit the aquarium, and Atlanta does it up right for the holidays. For an entire month, the transformation to a Christmas wonderland must be seen to be believed! Get the young ones into magical spirit mode by assisting the elves to awaken Santa from his slumber with snowballs, watch the daily morning tree lighting ceremony, view the hourly Holidazzle light and music show and sit down to breakfast in the ballroom. With Beluga whales and Santa looking on, write your wish list letter, after eating, and hand it to Kris Kringle before you leave. Take the kids out to shop for people on their list (and work on finishing your own!) at this annual tradition on December 1st. Everyone is sure to find that perfect something from the unique vendors peddling their eco-friendly and handmade products. Spend hours browsing through gifts for kids, candles, beauty and bath items, art, nature gifts, food, jewelry and more. Keep up your shopping strength with a quick break at the Holiday Market Café, featuring a scrumptious selection of food and beverages fit for a king. No list of Christmas traditions would be complete without a family visit to seek out the perfect Christmas tree! Whether you are looking to cut down your own tree or have someone else do the work for you, Yule Forest is all about the search! Take your time deciding as you munch on candy canes and sip piping hot apple cider. If you time your visit to coincide with the weekend, the entire family will enjoy the petting zoo and hayrides. To work off some of that excitement energy after a tree-picking victory, lead the kids to FunZone where you can play all day. While the events listed will keep everyone in the family busy, this is only a small sampling of all the wonderful holiday traditions that Atlanta has to offer. With the variety of concerts, tree lightings, performances, parades and numerous other activities, there are more than 150 Christmas-themed things to do in and around Atlanta. Whether you need a quick weekend getaway or you’re relocating to Atlanta during the holidays, this is your chance to explore the city in a festive new way each day and start your own yearly traditions tailored to all the outings your family loves best. From food and shopping to twinkling lights and Yuletide fun, grab the gang and set out to fill your Christmas joy meter, year after year! Atlanta Peach Movers did an excellent job with my recent move! The 4-man crew actually turned out to be 5 men at no additional cost. They were very careful with all my stuff, including the piano. The cost was very reasonable and even less than the estimate. Would strongly recommend these movers. I have nothing but good things to say about Atlanta Peach Movers. I was recommended their services from a friend and could not have been happier. I have moved many times, we counted around eight different tags on the boxes in the basement, and I must say these guys surpassed all of the prior moves. Not one thing was broken and they even fixed one of the items that was broken by the prior movers when they delivered it to my new address even though the damage wasn't their fault! Their customer service was top notch and they always were there to help me out. APM Was phenomenal - from Ron showing up at the house to do a walk through and provide an estimate that was very accurate, to their flexibility on our scheduling due to closing challenges. The team of 6 showed up on time, were extremely professional and courteous. They even provide some moving boxes (20) ahead of time and wardrobe boxes on the move date. They entire team took care to make us comfortable and carefully managed all our heavy/large items. They worked hard through the entire 12+ hour move and I cannot recommend them enough. Please forward this to their supervisor so that he is aware that he has some "VERY GOOD" people working for him. Atlanta Peach Movers had tickets for the Gwinnett Braves game they were going unused. We contacted Children's Healthcare to help us identify and give the tickets to a deserving child. We can't believe that we did not learn of Atlanta Peach Movers until our retirement move. Always utilizing major national/international movers, we have relocated many times over the span of my career to include out-of-country relocations and none have come close to care and quality that we received from Atlanta Peach. My wife and I have nothing but praise for Alfredo, Felipe and Angel - this team went above and beyond to move some nearly impossible pieces of furniture and they accomplished without a mark on a single piece of furniture and without a mark in either house. Even though we are retiring in Scottsdale, Arizona, my wife swears if we ever move again, she will pick up the phone and arrange for Atlanta Peach Movers. Our hats are off to a fine crew of movers and the skilled and artful job that they accomplished.......and they remained polite, courteous and customer focused throughout the entire hot and miserable summer day. These guys are quite simply the very best!! I just wanted to tell you how impressed I am with Atlanta Peach Movers. This has been my 5th move using moving companies (2nd with you all) and I will never use another company again. Your men showed up on time (again) and were so efficient I am beyond impressed. We hit a bump in the road when the storage units only elevator was broken so we had to use the stairs. I left to check into the apartment complex and the men were finishing moving everything into the truck in one hour! Using stairs! With two elevators I've had 3 men take 3+ hours getting our stuff out of a storage unit! Not only were they fast at getting things out of the storage unit they handled our stuff with such care. I was telling them how mad I was the previous 3 moves because our stuff was broken by the other companies. Yes you can replace things but it was our stuff we received from our wedding and couldn't use for one year. I opened boxes and our fine china was in pieces. When I opened my boxes handled by APM, everything was how it should be. My husband plays professional baseball for the LA Angels (as of now) and I know many girls who relocate and move. I will be putting APMs name out there because I truly am impressed.